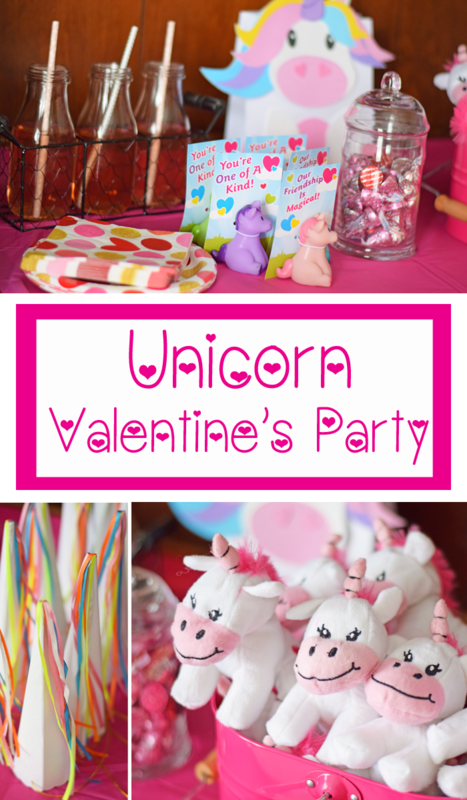 This Unicorn Themed Valentine’s Day Party is sure to be a fun time for all the unicorn fanatics in your life! Oriental Trading supplied the items for this party post. Unicorns are magical, right? But they are also SUPER cute, especially for Valentine’s Day! My daughter is still hanging on to the unicorn trend, a trend that I thought would surely die by now, but it is still as popular as ever. We are planning on personalizing unicorns with my Cricut for the girls in her class for Valentine’s Day. I hope they like unicorns as much as she does! 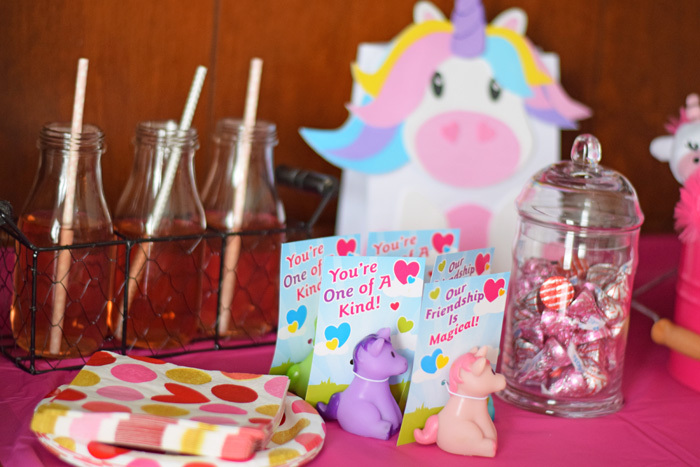 If you are planning a Valentine’s Day party this year for school or home, consider a unicorn themed party for cuteness overload. Oriental Trading has a ton of unicorn party supplies for inexpensive prices. If you are wanting to add a crafting element to the party, Oriental Trading also has craft supplies and projects that you can add to your order for a one stop party supply shop. 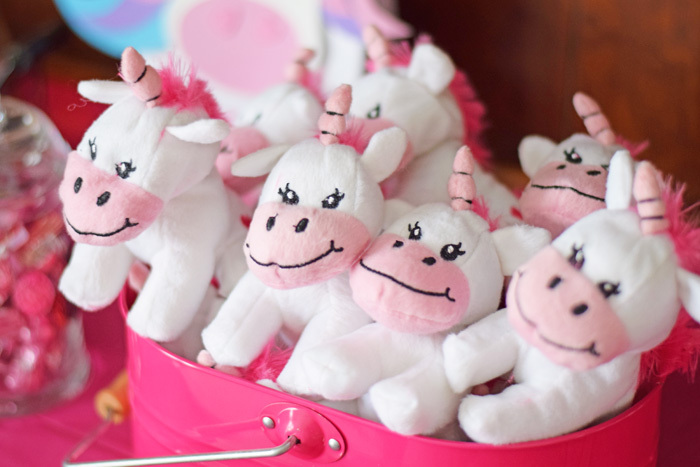 These plush unicorns are adorable, aren’t they?!? 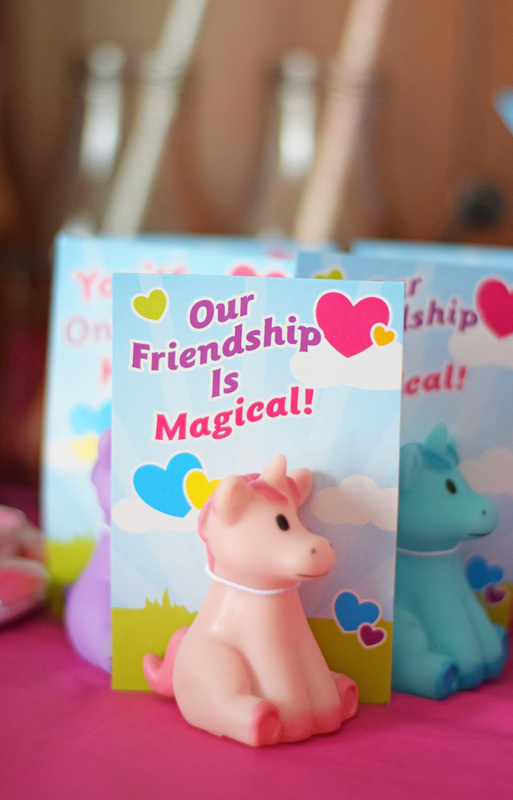 These Valentine’s Day cards come with a little unicorn. I like that the card sayings are not overly mushy but focus on friendship. 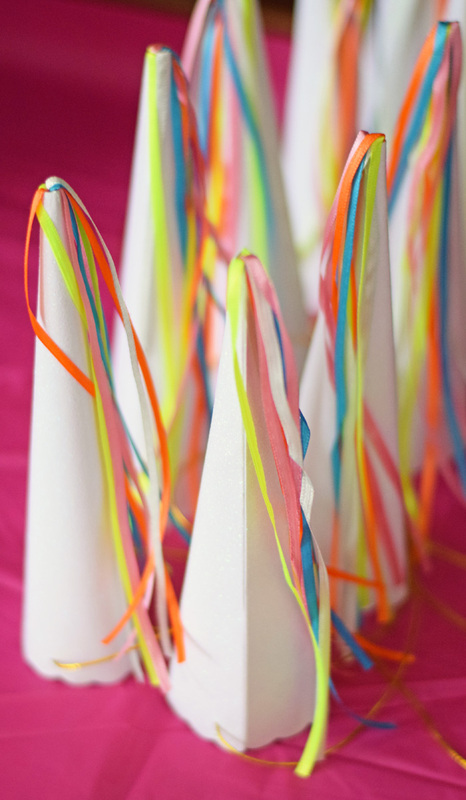 Let all the guests inner unicorn come out with these cute unicorn horns. 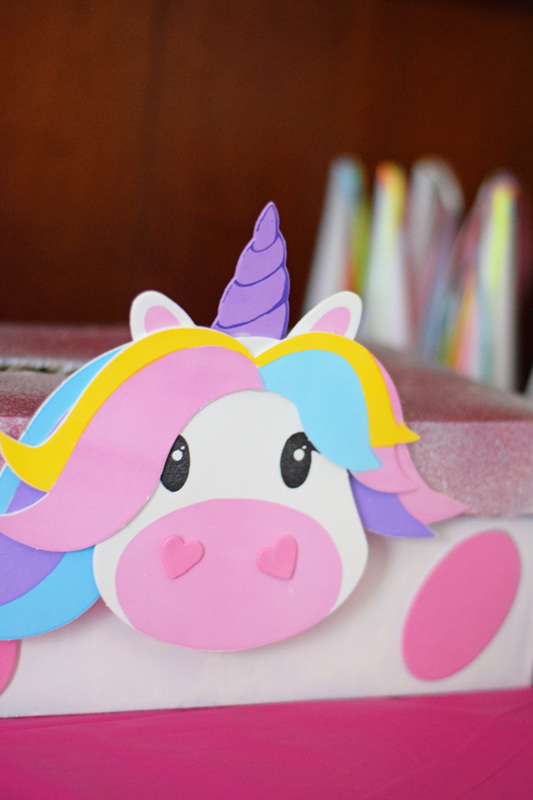 This Unicorn Valentine’s Day card box is perfect for all the little one’s valentines from their friends. See the supplies to make your own in this post. Keep food non-stressful with easy snacks like fruit. Of course, for a sweet treat, sprinkle doughnuts are very unicorn friendly! For beverage, we served a light pink organic juice drink with pretty paper straws. Simple is always best when it comes to party food for kids. I’ve discovered that even when I spend time laboring over fancy food for kids, they usually want the simple food items over the complicated over-decorated ones.